NYC, 04/09/2019, 4:30PM. 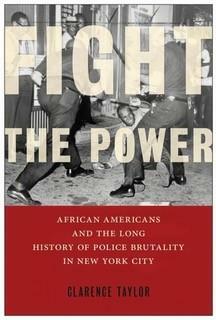 Fight the Power: African Americans and the Long History of Police Brutality in New York City. Author Clarence Taylor is one of a handful of scholars whose work focuses on the civil rights struggle in New York City. He also writes on African-American religion sand labor. He has written and edited six books, including The Black Churches of Brooklyn (Columbia University Press, 1994); Knocking at Our Own Door: Milton A. Galamison and the Struggle to Integrate New York City Schools (Columbia University Press, 1997), and Reds at the Blackboard: Communism, Civil Rights and the New York City Teachers Union. Thank you for your interest in Tamiment Library’s public programs! Registration is encouraged, but not required to attend this event.